A development study identifies 25 acres of neighboring parcels, but the campaign calls it a test-case location and some people living there are skeptical. Shawn Scott or an entity he controls would get the casino license. Backers of a proposed York County casino selected a 14.5-acre campground and mobile home park in Old Orchard Beach as a potential site for the project, if the measure is approved by statewide voters on Nov. 7. Progress for Maine, the political action committee backing the ballot question, identified the campground, mobile homes and about 10 single-family homes on a cluster of parcels that cover roughly 25 acres just off Interstate 195, between Ocean Park Road and Old Orchard Road. The site and a related construction budget were described in an appendix to an economic development study that the PAC unveiled in September. However, a spokesman for the casino campaign said Thursday that the location was used only to provide a “base case” scenario to calculate the economic benefits of the casino, projected to provide more than 2,000 jobs and $45 million in annual tax revenue. “There is no location that has been decided on and there won’t be until after a successful Nov. 7 vote, when local communities get a chance to weigh in,” said Michael Sherry of O’Neill and Associates, a Boston firm working for the campaign. The study, however, doesn’t indicate that the property was selected solely for the purpose of producing an economic analysis. Residents interviewed Thursday had not heard about the proposal or being included in the economic study. Although some were intrigued by the idea, others had no interest in selling their homes. 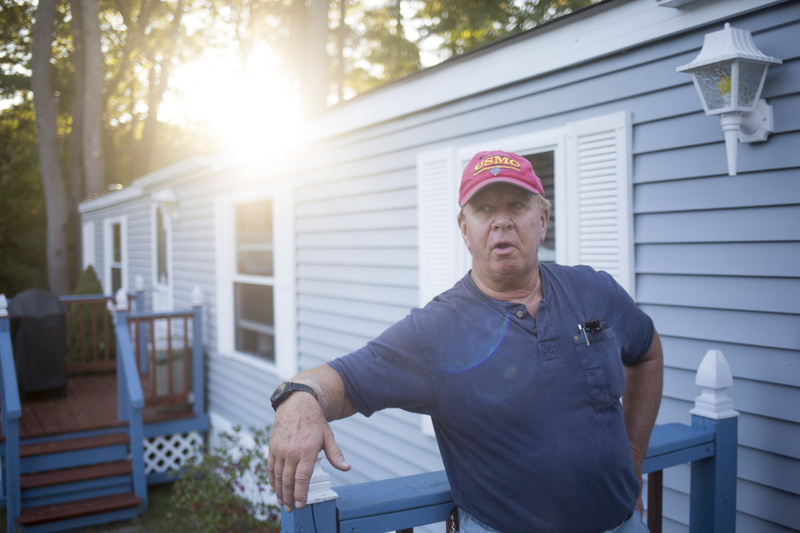 Charlie Powers, a 20-year resident of Pine Grove Village, an immaculately kept enclave of mobile homes, likes the idea of more jobs coming to town, but acknowledged that moving so many people from their homes could be expensive and troublesome. The PAC has launched a direct mail and TV ad campaign to build support for the Nov. 7 ballot question. If passed by statewide voters, the proposal would then require local approval, in the case of Old Orchard Beach by the five-member Town Council. Managers of the Old Orchard Beach Campground, the largest parcel in the grouping of properties, did not respond to messages left Thursday. An attorney who is the registered agent for one of the companies that own the parcels of land also did not return a call seeking comment. Town officials said they were unaware that Old Orchard property had been identified as a prospective site, but Assistant Town Manager V. Louis Reid said there were rumors going around town about the campground location. Reid and Town Councilor Shawn O’Neill said there had been no formal conversations about the casino among councilors. “That’s the kind of thing we would have a very public conversation about,” O’Neill said. He is uncertain how residents would react to a casino coming to town, if it were approved, but did say he thought it would be good for economic development. He also believes there are others who don’t like the idea. “I don’t have anything official or formal, no facts really, but just the sense I have,” O’Neill said, referring to previous development controversies in Old Orchard Beach around the town’s baseball park. 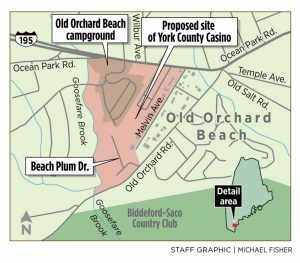 O’Neill believes the location could be a good one, and if Old Orchard Beach was identified as the host community, it may help the ballot question win approval in nearby York County towns that might otherwise oppose the casino. The location, as identified in the economic impact study, is near Old Orchard Beach’s border with Saco and directly off Interstate 195, providing easy access to the Maine Turnpike. Sherry, the campaign spokesman, said the location was chosen as a potential site because it met criteria for acreage and accessibility to main roads that were included in a 2014 report to the Legislature on the viability of a third casino in Maine. 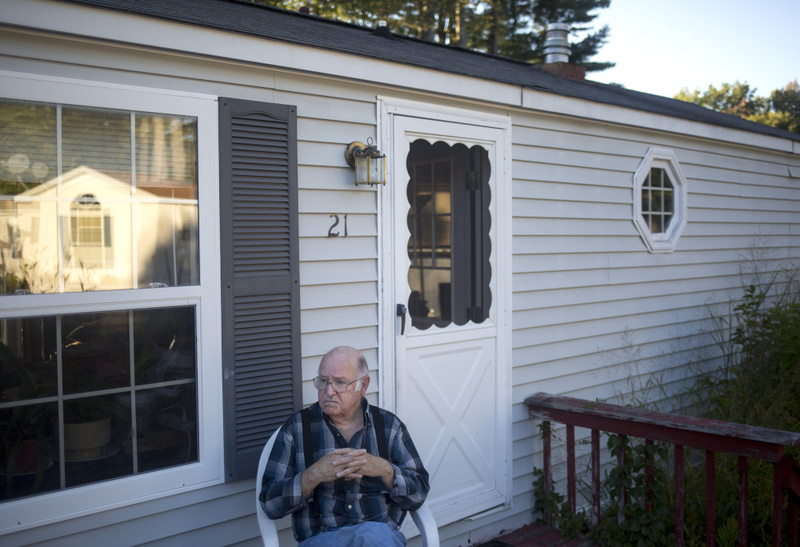 Powers, the truck driver living in Pine Grove Village, said brothers John and Michael Daigle, who own the mobile home park and also operate the Old Orchard Beach Campground next door, have invested in upgrades to the neighborhood. “They’re not going to give this place away,” Powers said. William Howard, 80, another Pine Grove Village resident, thinks any casino would likely be in or near Biddeford, and said the campground was recently renovated. “People who like to drink and do drugs,” he said. On Melvin Avenue, homeowners Mike and Ann Henderson said the proposal sounded bizarre. The prospect of leaving, even if they were to be bought out by a developer, drew an emotional response from Ann Henderson, a schoolteacher, as she stood in the doorway of the home she and her husband have owned for five years. She cited the quiet, dead-end street and the proximity to amenities and the highway, all without being near the seasonal onslaught of tourists who have made Old Orchard a summer destination. “We had no clue that was on the table,” she said. The casino campaign has been fraught with controversy, and its financial backers and promoters, including Shawn Scott and companies connected to him, have been the subject of an ongoing investigation by the Maine Commission on Governmental Ethics and Election Practices. The ethics commission has been trying to establish the source of more than $4.3 million of funding that was spent gathering the voter signatures to put the measure on the ballot. The commission has subpoenaed personal and company financial records from Scott as well as his sister, Miami-based real estate developer Lisa Scott. She formed the ballot question committee, Horseracing Jobs Fairness, and was initially identified as the sole source of all the funding for the campaign. But she later reported the formation of three additional ballot question committees and filed reports showing several others sources of contributions. Shawn Scott is an international gambling entrepreneur who won voter approval to add slot machines to Bangor’s struggling horse track in 2003, bringing Maine its first casino. 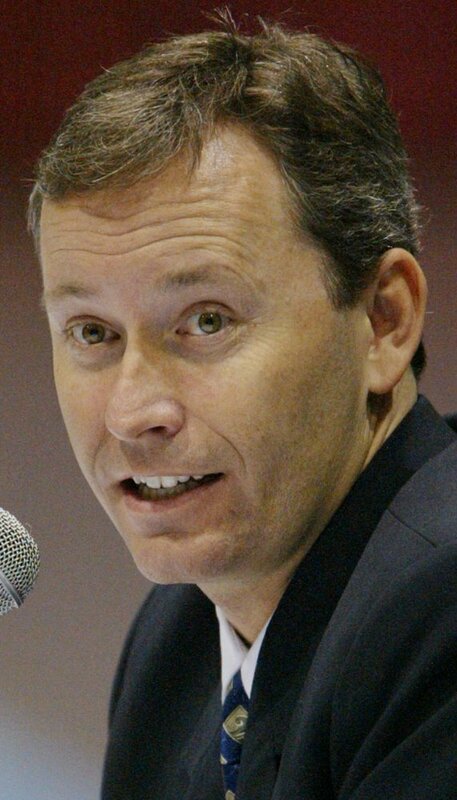 Scott then sold those rights to Penn National – which still operates what is now Bangor’s successful Hollywood Casino – for $51 million as regulators scrutinized his businesses and associates. 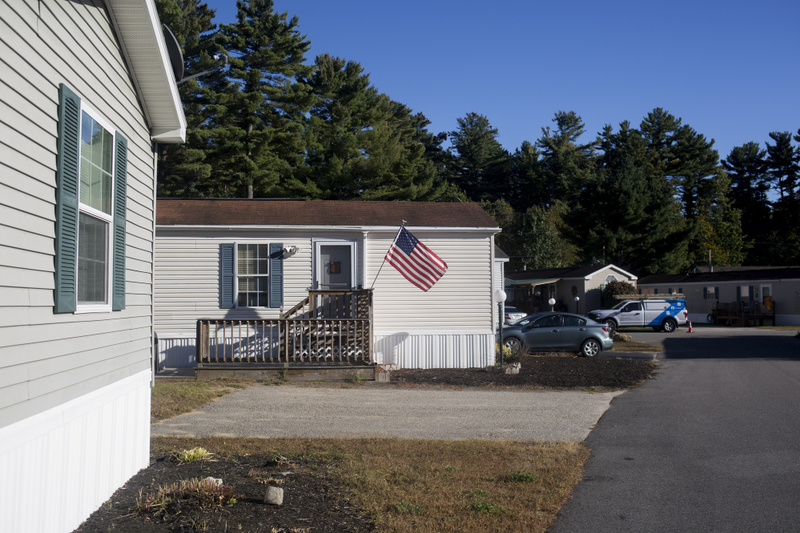 A U.S. flag is displayed on a mobile home in Pine Grove Village, one of a group of parcels in Old Orchard Beach identified in a test-case scenario as a potential site for a casino in York County. The neighboring Old Orchard Beach Campground land also would be included. A license for a casino in York County is estimated to be worth between $150 million and $200 million, state officials have said. The ballot question has been controversial in the Legislature as well, because the measure is written in such a way that, if it were approved, only Shawn Scott or a company controlled by him could be awarded the license for the casino. On Wednesday, an opposition PAC, largely funded by Oxford Casino’s parent company, Churchill Downs, launched a campaign website attacking Shawn Scott’s business record and his dealings in the world of casino gambling dating back to 2003. The website dubbed him “Shady Shawn,” and indicated opponents also would begin canvassing door-to-door, launch a television advertising campaign and engage in a direct-mail campaign to encourage voters to reject the measure. Progress for Maine already has launched a barrage of television and radio advertising as well as some full-page newspaper ads touting the economic benefits of a “gaming and entertainment” venue while steering clear of using the word “casino.” The campaign also highlights the revenues for state and local government and other entities, including veterans organizations, the horse racing industry and public school funding. Critics of Shawn Scott and casinos as economic development, however, note that the state’s two existing casinos, also approved by voters, haven’t produced the full financial benefits that were projected when they were approved by voters in 2003 for Bangor and 2010 for Oxford.